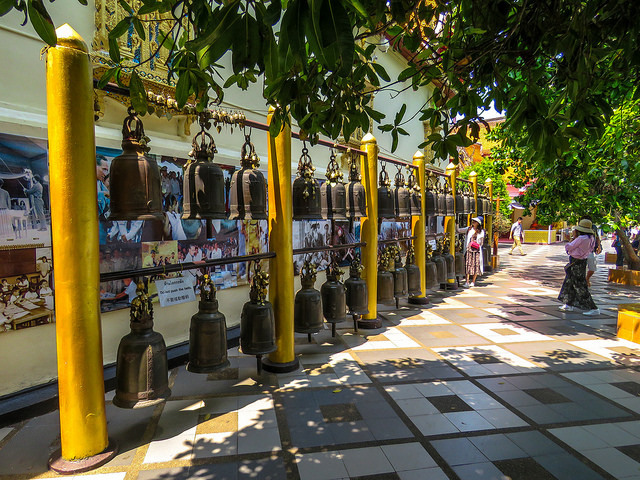 It’s no secret that Chiang Mai has been a popular destination with tourists and expats for several generations now. With its hundreds of golden temples, wide variety of international restaurants, stunning surrounding countryside and large choice of outdoor activities, this city in northern Thailand has something to offer everyone. And the year-round tropical climate is an added bonus. Chiang Mai offers all the amenities of a big city but at small town prices. Good quality rentals to fit any budget are easy to find in both the centre of town and nearby rural areas. Markets scattered throughout the city offer locally grown fruits and vegetables, along with a variety of ready prepared dishes for as little as a dollar apiece. Those craving favourites from back home can find a wide selection of imported goods at any of the large supermarkets in town. For shopaholics, there’s five large modern shopping centres in the area housing a good mixture of local shops and international brand names. They also include large modern movie theatres where you can view all the latest blockbusters for a fraction of the price you’d pay back home. It’s not hard to find what you’re after in this cosmopolitan hub. Thailand has long been known for its excellent healthcare and Chiang Mai is no exception. A variety of public and private hospitals, staffed by well-trained doctors and nurses, many of whom speak English, can be found here. A consultation with a specialist rarely costs more than $25 and most medical procedures are available at far less expense than in Australia.Some expats prefer to live along trendy Nimmanhemin Road, with its upscale apartments, swanky eateries, designer boutiques and popular bars. Others prefer being in or near the old gated city. But, for many, living in the nearby countryside is the ultimate retirement dream. There, they can have a big garden, grow their own fruits and vegetables and take in spectacular views of the nearby mountains. Getting out of town is not difficult. Chiang Mai International airport is located a 15-minute drive from the centre of the city and has regularly scheduled flights to Bangkok, Singapore, Phuket, Kuala Lumpur, Burma and Laos. 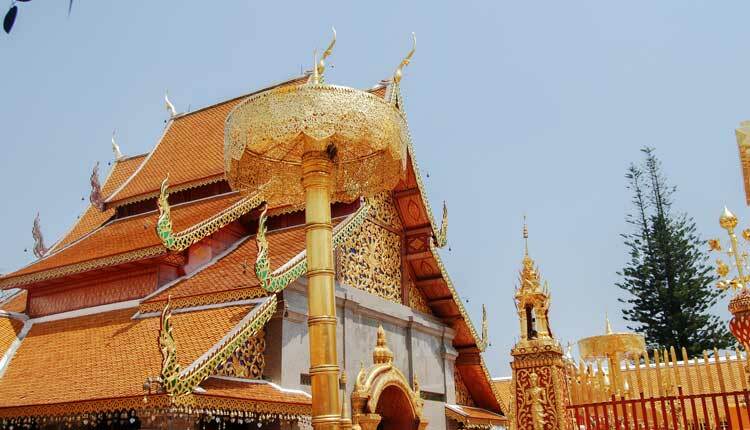 Chiang Mai is one of the main cultural hubs of Thailand. This, coupled with the fact it’s a university town, results in many art and cultural displays throughout the year, both at local galleries and at the large number of annual festivals. The more than 30,000 expats in the city have given rise to an active club that holds monthly meetings. The club also acts as the umbrella organisation for many local interest groups that meet regularly to partake in everything from hiking to computers to photography. It is easy to live in Chiang Mai on a budget of $2,650 per month. The great part is it’s not just an inexpensive lifestyle, it’s a seriously high-quality one. Thailand’s northern capital is rich in contrast. You’ll find this sprawling, modern city nestled amongst forested foothills. Here, you can lose yourself in the hustle and bustle of the vibrant centre or head in any direction to immerse yourself in lush green countryside. Chiang Mai enjoys a year-round warm climate and, although it does get a little chilly at night in the winter months, it still reaches the balmy mid-20s C during the day. Live in the centre of the city and enjoy all it has to offer. You can shop at the local markets and pick up fresh fruits and veggies for bargain prices. Markets throughout the city offer hand-made clothing, furniture and day-to-day items for a fraction of what you would pay at home. When the sun goes down, there is no shortage of places to gather with friends. Dine at one of the hundreds of wonderful restaurants or sit back and relax at one of the live music venues in the city. Pick up a tasty dish from one of the hundreds of street vendors for as little as a dollar and visit with neighbours in one of the many outdoor dining areas. Textiles, gold, silver and ceramics are only some of the items that are showcased on a regular basis in galleries around town. Many cultural events happen throughout the year where expats and local Thais work together in the community. With over 30,000 expats living in the city, it’s not hard to find others with the same interests as you. The local international airport offers daily scheduled flights to Bangkok for less than $70. From there the world is your oyster. A trip to the nearest beach resort town in the southern part of the country will cost about the same. 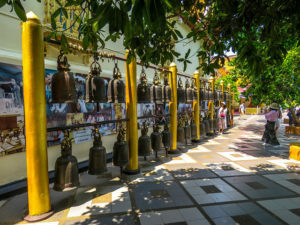 As more and more people discover this gem, Chiang Mai is not as sleepy and slow-paced as it once was, but the lifestyle is still attractive and laidback when compared with the hectic schedules many of us are used to. With the great climate, good shopping, excellent healthcare and friendly locals, it may be a great fit for your retirement years. The “Rose of the North” has been a prime backpacker destination for several decades. 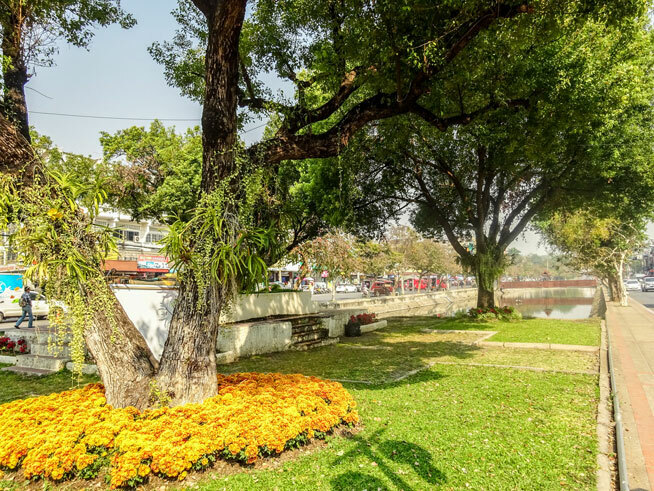 Today, the northern city of Chiang Mai continues to attract tourists from around the world as well as thousands of expats looking for a warm, economical retirement destination. Thailand is a popular choice for those looking to retire abroad, thanks in no small part to its top-notch healthcare, inexpensive housing and friendly residents. And Chiang Mai is one of the most popular areas of the country in which to settle down. Chiang Mai offers all the amenities of big city life at small town prices. Glitzy shopping centres, modern cinemas and wonderful restaurants all contribute to a great lifestyle for local expats. Whether you choose a modern apartment in the centre of town or a spacious house in the beautiful surrounding countryside, you will be surprised at the low monthly rental costs. Dozens of markets throughout the city offer fresh produce for a fraction of the price you would pay in Australia. For those who miss foreign ingredients and favourite snacks, there are several large grocery stores scattered throughout the city that provide a tempting selection of international foods. A good network of hospitals and clinics throughout the city provides excellent healthcare. Finding English-speaking doctors is never a problem and the costs are usually a fraction of what you would pay in your home country. A typical visit to a specialist will usually be less than $40. If you love the outdoors, there are several national parks within easy driving distance. Take a spin along one of the many scenic country roads or cool off in a cascading mountain stream. The highest mountain in Thailand is a short drive away and offers spectacular vistas of the jungles and valleys below. With its many colourful annual festivals, spectacular scenery and inexpensive cost of living, Chiang Mai could be the ideal retirement destination you are looking for. As with most areas in Thailand, Chiang Mai varies from hot to hotter for most of the year. It’s a tropical wet and dry climate, but during the dry season the nights can be quite cool compared to the daytime highs. This is one of the many reasons that expats prefer living in the northern part of the country.The nicest time of the year is the dry season which generally lasts from November to April. As the rainy season comes to an end in November, the cloudy days and scattered thundershowers slowly give way to bright sunshine and clear skies for the winter months. Daytime highs still reach into the high 20s C and low 30s C…but you might have to wrap up at night. Although air conditioning is the norm for most apartments, heating is, for the most part, unheard of. Winter night-time temperatures are much cooler than points further south. Lows can dip below 15 C and sometimes even as low as 4 C. The record low for January is 0 C so be prepared! As spring arrives, daytime temperatures increase. They’re at their highest in April, when they can squeeze past 37 C on a regular basis. Fortunately, the world-famous Songkran festival also arrives at the beginning of the month. The celebrations are for the Thai New Year and are famous for water pouring rituals…and water fights! Certainly the tradition gives everyone the opportunity to be cooled down by the copious amounts of water being splashed about for several fun-filled days. Residents look forward to the arrival of the monsoon season sometime in April or May—a relief from the excessive heat and humidity of the past few months. During a normal year, rainfall increases monthly until it reaches a maximum in August or September. But continuous rainfall and perpetual grey days are unusual. More typically, towering storm clouds build during the heat of the day and burst into torrential sporadic downpours late in the afternoon, which can last anywhere from a few minutes to an hour. Come November, the rainy days begin to diminish and the annual cycle begins again as the climate becomes cooler and drier. Read more: What Do Expats Do in Chiang Mai? Chiang Mai’s food scene is one of the best in Thailand. 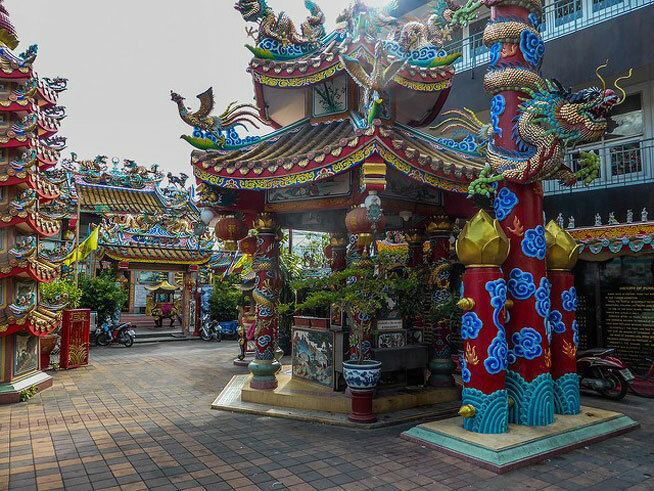 It is a place where you can get everything from a whole grilled fish, suckling pig or even world-class Peking duck from right on the side of the street. It is a feeling that’s difficult to describe. The first time it hits you it’s exciting, foreign and overwhelming. The strange humidity that hugs you, the sounds of tuk tuks singing and the different energy buzzing around makes you feel very alive. Stepping out from the airport into Thailand is going to be an adventure every single time—guaranteed. Read more: Chiang Mai or Chiang Rai? When my fiance Jason and I woke up yesterday morning, we weren’t sure where we would be living beyond our two-week stay at a serviced apartment in Chiang Mai’s Old City. By midday, that had changed. We’d signed a lease on a luxury one-bedroom condo in Nimman—a trendy area full of restaurants, cafes, bars, shops and boutique hotels—for the very attractive price of 20,000 baht ($827 a month).